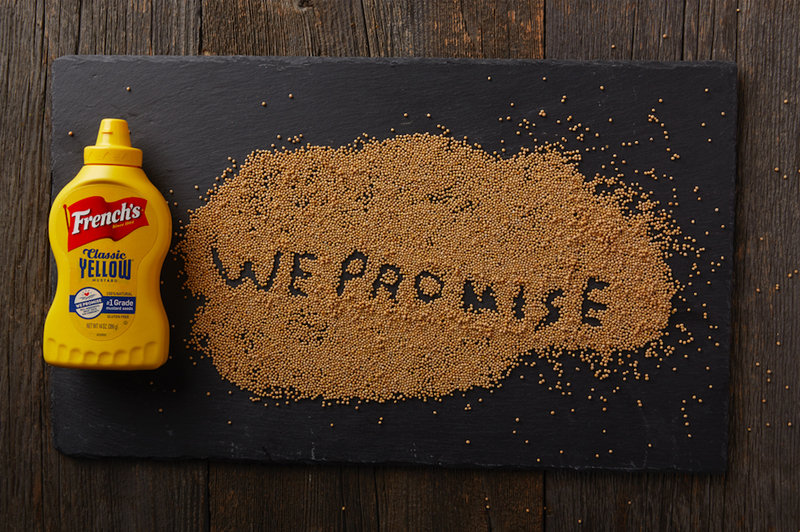 Chester, NJ – May 22, 2017 – For French’s®, We Promise is not just a statement or a seal on mustard and ketchup bottles, it’s a mobilizing community call to action to help the 42 million people who struggle with hunger in America and to help put food on their tables. That is why they have teamed up with Feeding America®, the nation’s largest domestic hunger-relief organization, to encourage the community to join them in providing 10 million meals* to people in need through its nationwide network of 200 food banks. French’s has created a simple and easy way to help consumers get involved with the touch of a button on their computer or mobile device. Beginning May 22 and running through December 31, the community will be encouraged to go to www.Frenchs.com and click on the “help fight hunger now” button. The button drives to the central hub, frenchspromise.com, where people can take simple actions that will help share meals. Each action taken by the community helps to provide more meals to Feeding America. For example, watching the video on the microsite results in 25 donated meals; organic posts like a tweet, #FrenchsPromise along with #sponsored or a like, helps to provide 50 meals; creating an account on the microsite to get more information about local food banks helps to provide 75 meals; and sharing video via Facebook, twitter or email creates 100 meals. The entire effort will be supported by a robust social and digital effort. The partnership with Feeding America will also be highlighted on more than 30,000,000 French’s Mustard & Ketchup bottles in stores from May – December with communication about the program to drive consumers to frenchs.com and ultimately the microsite. With the public’s support, French’s will raise the equivalent of 10 million meals to help support the Feeding America network and the millions of people it serves throughout the country. 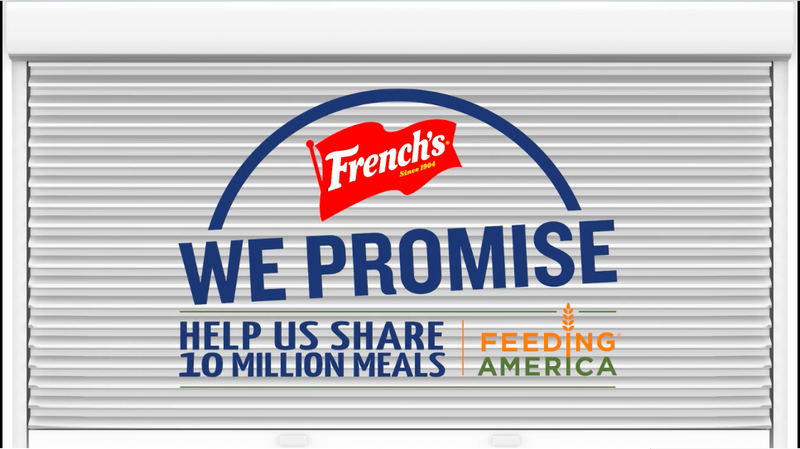 French’s also hopes the push will educate Americans about food insecurity in their backyards and create more awareness of and motivation to get involved in the fight against hunger. For more information, visit www.frenchs.com/our-promise/. 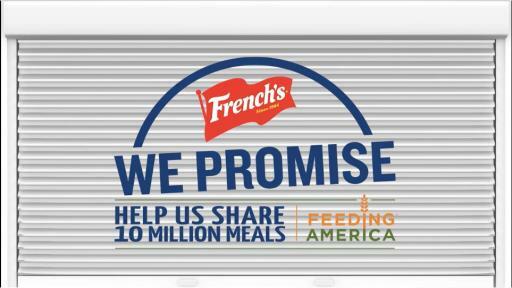 * French’s will donate the 10 Million meals to Feeding America on behalf of its food bank network. Feeding America’s efficiency and the generosity of its in-kind food donors, paired with the financial contribution of French’s, help make this possible. The French’s Food Company, a global food company with offices and manufacturing locations in the United States, United Kingdom, Canada, Brazil, France and Mexico, has been bringing great flavor to people for more than 100 years. 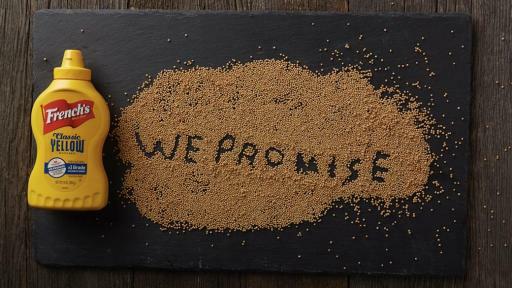 The company still crafts trusted foods using simple ingredients of the highest quality.